London Ambulance Service successfully won the contract to deliver the Integrated Urgent Care (111) Clinical Assessment Service (CAS) for the boroughs of Barking & Dagenham, City & Hackney, Havering, Newham, Redbridge, Tower Hamlets and Waltham Forest. The new service will be an integrated urgent care and clinical assessment service with a multidisciplinary team of GPs, pharmacists, nurses, paramedics, and health advisors providing expert advice over the phone. The CAS will work closely with other urgent care services in the area as part of a bigger integrated urgent care system. The purpose of this new integrated service is to ensure that all patients using the 111 number will receive health advice, a face-to-face appointment or prescription. It will utilise all of the local healthcare facilities within north east London and will look to provide the right care at the right time closer to home. In order to deliver the new service we have been recruiting clinicians to work alongside our call handlers, providing expert advice. 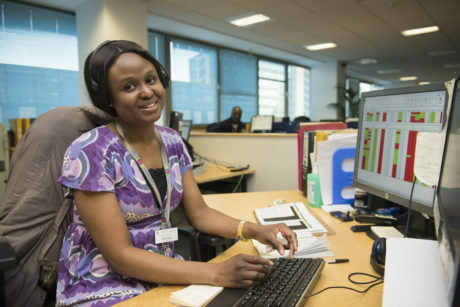 If you are interested in working for our North East London CAS service please visit our vacancies page. All current London Ambulance Service vacancies are advertised here.